The earlier you receive periodontal disease treatment, the least invasive it has to be. Don’t wait until you’re shown periodontal disease pictures of the various invasive periodontal disease stages that await you if you don’t get treatment. Severe periodontal disease can lead to tooth loss, surgery, the need for dentures or implants and expensive procedures that your insurance may or may not cover completely. 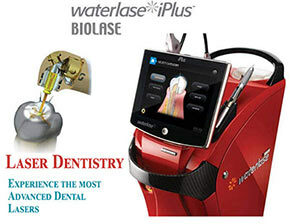 Come to our dental clinic in Brooklyn to receive the most efficient, functional, and highly esthetic results. 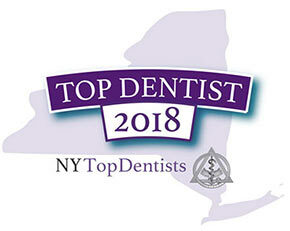 Meet our family dentists in Brooklyn Alex and Igor Khabensky DDS to get the fastest & painless dental treatments. Periodontal disease is an inflammatory disease of the gums and tissues that hold your teeth in place. In early periodontal disease stages, the gums become swollen and red. This early stage is called gingivitis, and more than 47 percent of Americans get it. If gingivitis isn’t treated, it continues to get worse until it reaches full-blown periodontal disease. As the disease progresses, your gums start to pull back from your teeth, and because of the presence of harmful bacteria, your bones and other tissue may be ruined. Periodontal disease pictures reveal that this can lead to tooth loss, along with the loss of the bone and tissues supporting your teeth. Don’t wait until your symptoms get that bad; visit your general dentist in Brooklyn to treat it while it’s still in the gingivitis stage. Poor brushing habits allow a film of bacteria, known as plaque, to accumulate and harden on your teeth. If you don’t have good oral hygiene habits that include regular brushing and flossing, plaque starts to grow on your teeth. If you don’t get it treated, it can harden into tartar, which has to be removed by your Brooklyn family dentist during your bi-annual teeth cleaning. Bacteria in plaque can spread under the gum line and cause your gums to become inflamed or infected. Other factors that can cause gum disease include diabetes, smoking, medications that reduce the flow of saliva, hormonal changes in girls and women, inadequate nutrition, stress and some illnesses such as AIDS. Gingivitis. During this early stage, your gums are swollen and red, and they may bleed easily. At this stage, gum disease is reversible with good oral care and regular dental cleaning. Periodontitis. At this point, bacteria have grown below the gum line, and your gums have become irritated. They form pockets that become infected and separate from your teeth. You’ll need a deeper cleaning for gum disease treatment when you get to this stage. Advanced periodontitis. Severe periodontal disease has begun at this stage. The pockets around your teeth become deeper, causing your teeth to shift and loosen. At this stage of severe periodontal disease, your teeth may fall out or have to be removed. Your Brooklyn dentist diagnoses periodontal disease stages by examining your teeth and gums to look for signs of inflammation. He determines how deep the pockets are around your teeth by using a periodontal probe. An x-ray reveals bone loss and the possible need for surgery. Some teeth may feel loose if you’ve progressed to severe periodontal disease. Periodontal disease is easier to prevent than to treat. If your Brooklyn general dentist determines that you have gum disease, periodontal disease treatment starts with the least invasive approach. Non-surgical periodontal disease treatment includes root scaling, which removes tartar above and below the gum line using special hand tools. This is usually done in two-to-four sessions at the dentist’s office. If periodontal pockets are five millimeters or more in depth and have settled in a way that manual scalers can’t reach, surgery may be needed to repair the diseased area. 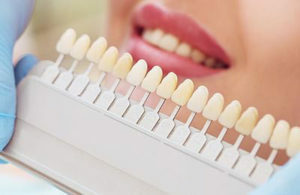 A variety of surgical procedures can be used to treat advanced periodontal disease, such as grafting, laser gum surgery or regenerative techniques. Although periodontal disease treatment helps heal diseased gums, the real cure is to get in the habit of taking good care of your teeth and gums. Besides daily brushing and flossing, regular cleanings and checkups are very important for stopping the growth of plaque and bacteria. Controlling gum disease can help to save your teeth. Developing a healthy oral hygiene routine also impacts your overall well-being. Call Quentin Smile Dental Practice, the best dentist in Brooklyn, for help and guidance in taking care of your teeth and gums. You don’t have to see periodontal disease pictures to know that it’s not a very pretty picture. Do you have any questions about the periodontal disease treatment in Brooklyn? 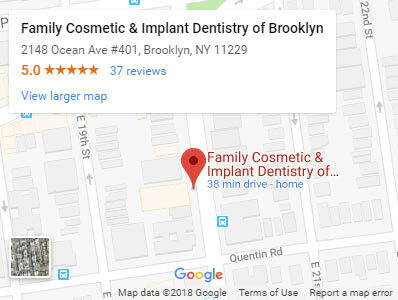 For more information or to schedule an appointment with the top Brooklyn family dentists Khabensky DDS of Family Cosmetic & Implants Dentistry of Brooklyn? Please contact our dental clinic for consultation with the dentists Alex and Igor Khabensky DDS.